It was a chilly night aboard the Qajaq ferry for passengers, after the vessel got stuck in ice in the Strait of Belle Isle on Sunday night. 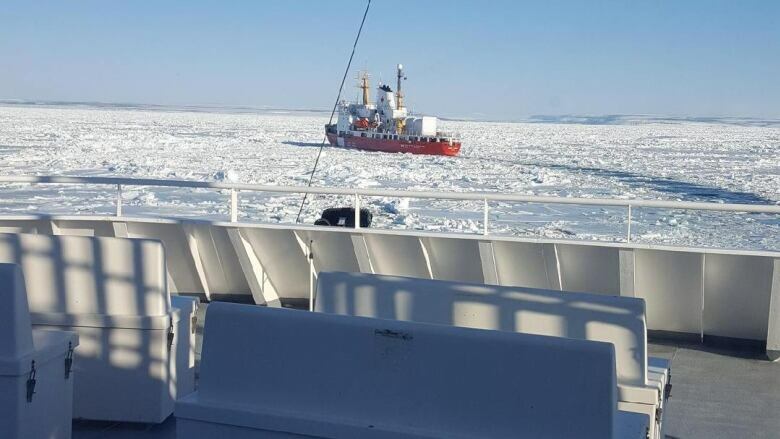 The Qajaq, operated by Labrador Marine, left Blanc Sablon around 5 p.m. Sunday before getting stuck. “It was very cold aboard the boat, no bunks.… We had to try to sleep in chairs,” he said. Ryland said he and other passengers were frustrated that the ferry wasn’t able to get through the ice, even though the Canadian Coast Guard icebreaker Henry Larsen was alongside it for much of the day. “Believe you me, there was times I could almost reach out and touch the Larsen,” he told CBC Newfoundland Morning.